We were delighted to welcome over 100 delegates to the Faculty Teaching and Learning Conference held on November 19th. Highlights of the conference included Professor John Bligh, Dean of Cardiff Medical School, discussing the joys and challenges of curriculum change and three very well-received workshops permitting delegates to investigate a particular pedagogical issue in more depth. Natalie Lafferty, Director of Technology, Learning and Innovation, Dundee Medical School, led a workshop with local collaborators on use of Free Online Access to Medical Education and use of Twitter – including enabling many to send their first Tweet; Sheena Warman of the Vet School led a popular session on feedback as dialogue and Sarah Allsop and Liz Gaze from Anatomy showed participants how to engage large groups in interactive activities using quizzes, games and e-Voting. Short presentations, ‘show and tell’ sessions and posters highlighted innovative approaches and resources created by staff and students alike. These ranged from an App giving access to 300+ patients discussing their cases, to a live link to the mortuary where delegates were treated to an autopsy on a melon, to a performance from the Vets on the use of stuffed toy animals to provide simulation – the most painful was watching the lamb being ‘born’ from a plastic box! There seems to be a great appetite for sharing innovative teaching practice and finding out what is happening elsewhere as well as honing educational skills. We plan to build on this by running one off-events and workshops and hope to publish the conference proceedings in due course. We would welcome any suggestions for events, seminars or workshops. Congratulations to the following students who, between them, won four out of the five prizes on offer at the Technology Enhanced Learning: a Medical Student Conference held at Queen’s University Belfast on 3rd October. Other Bristol students had abstracts accepted and narrowly missed out on the prizes. The projects and presentations from Bristol were of an extremely high standard. Well-done all of you. F ollowing on from the successful pilot at Weston General hospital where eduroam was added to the hospital’s wifi network, we have been working with the University’s wifi team and the various NHS Trusts to get eduroam into the rest of the Clinical Academies around the region. 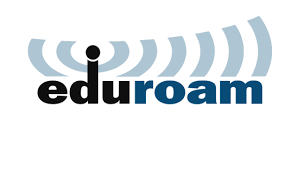 Eduroam is a hugely popular worldwide network access service which is implemented on a federated basis. Essentially, eduroam provides our staff and students with authenticated network logon and access to the Internet through a single Wi-Fi profile and set of credentials, wherever the service has been made available by participating organisations. This means that they can turn up at a new Academy and find that their device has already connected to the wifi and that they have internet access all around the hospital including the teaching and learning spaces. Currently eduroam is enabled in the UBHT hospitals (BRI, St Michael’s, South Bristol Community hospital etc. ), Southmead Hospital (not yet in the Brunel building) and the Great Western hospital at Swindon. We are still working with our NHS partners to enable eduroam in Gloucester and Cheltenham, Bath, Yeovil and Taunton. Hopefully we will manage to get some of the Trusts connected early in 2015. As new student workspaces are created and improved across the central University campus, it is increasingly important to mirror the high standards set by these new areas in our Clinical Academies, maintaining a high quality experience across all sites. This objective ties in with our team’s commitment to continuously improve resources available to students across the Academies. As such, we have recently purchased and installed a host of new PCs and larger monitors which, alongside our expansion of the Eduroam wireless network, will work to further enhance our learning areas and create more flexible options for study. 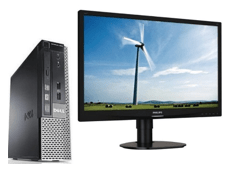 All PCs in Bath Academy Library, Taunton Academy Library and the BRI Study Area have now been upgraded, and the first round of machines to be deployed at Swindon and Southmead have taken place. On 1st September the BDS Programme launched an Undergraduate e-Portfolio, developed in conjunction with Healthcare Learning: Smile-on. Previously all student clinical activity was recorded on paper with students having different logbooks for the various disciplines they encountered. Now, all clinical work is logged electronically in one place. Clinical supervisors have been issued with iPads to sign off student work. Students have access to a PC in their clinical bays, however they are also able to use their own devices e.g. tablets, smartphones, etc, if they so wish. The e-Portfolio is web-based, so accessible anywhere with an internet connection. Its introduction has also resulted in the positive effect of forcing improvements to the wifi availability at the Dental Hospital. Initial informal feedback has been enormously positive and a future survey is planned to obtain useful qualitative feedback. This will enable us to see what has worked well, and what can be improved.